Lisa loves John: College Football Season! I don't know about you, but John and I are SO looking forward to watching some college football this weekend - honestly, it's one of our favorite times of the year! 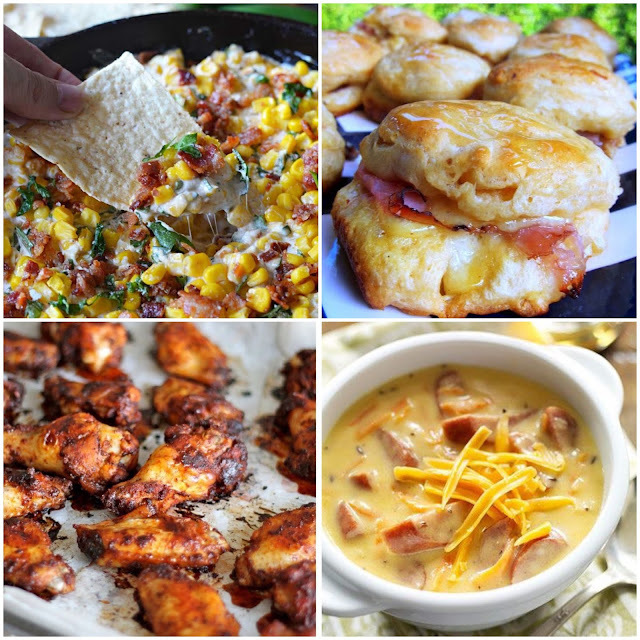 Whether you're hosting a tailgate or watching the game at home, a festive spread is always a must! And not surprisingly, I'm pulling my inspiration for this weekend from Pinterest! I'm super excited for the season to start too (and also posted about it today, haha!). I love those food place markers, and the water break sign is also adorable! Eek! So excited college football is back this week! Hurry up Thursday! And loving all of your food and décor inspiration! I need to make those sliders for our tailgate Thurs! Oh man I am drooling over here! Oh boy... brown sugar chicken wings? Yes please! You are making me excited for football season! I'm so ready! I'm not a big football fan but I love partaking in the festivities! Love this! 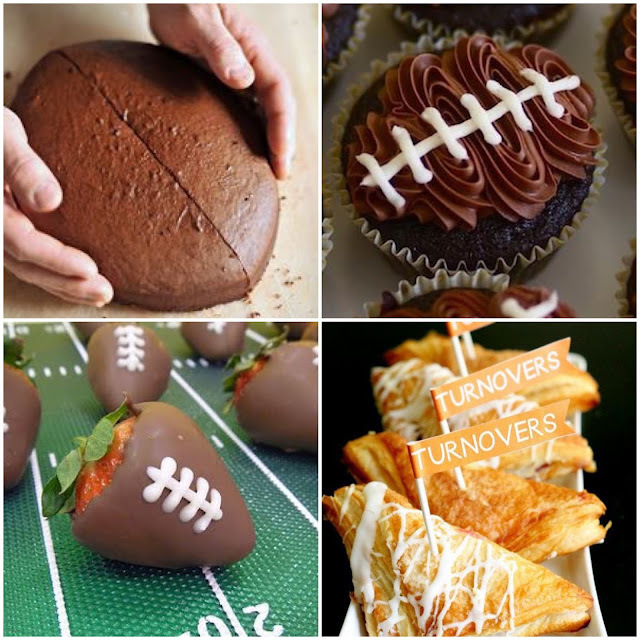 I don't like football, but my husband does and I'm sure he would appreciate these snacks when he has the guys over! OMG! Stop it right now with this food! I am getting SUPER excited for football now! those sliders look pretty tasty! I LOVE that water break idea! Oh my goodness that food looks so good! Definitely will be trying the honey ham biscuit sliders! The chocolate covered strawberries are so cute and festive!! Those honey ham sliders also look delicious! 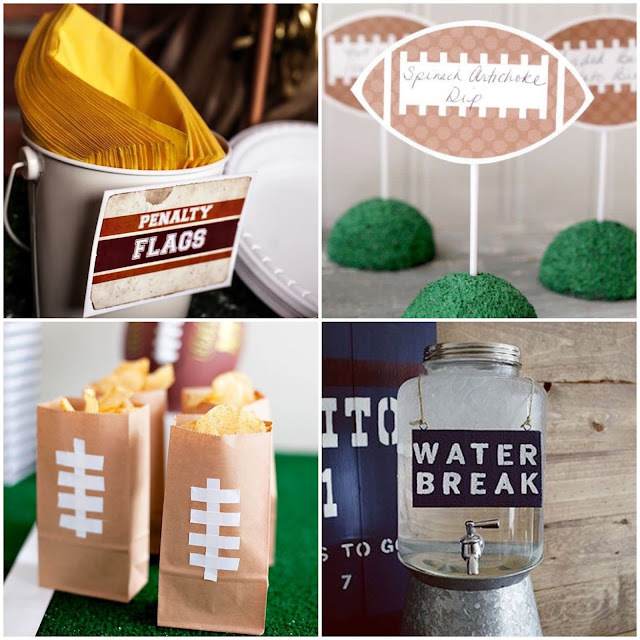 I have been rounding up some awesome football themed pins lately too! Great picks! Again. Why we need to be neighbors. Totally ready for college football season!! These ideas are so cute!! This post gets me so excited for the season! What adorable ideas. I love it.